Even though my kids aren’t little any longer, they still enjoy getting in the kitchen with mom to help create meals they will approve of. Of course, there a few tricks that I use to encourage them to use veggies in the dishes we create. One is to incorporate their favorite foods into the meals I make. 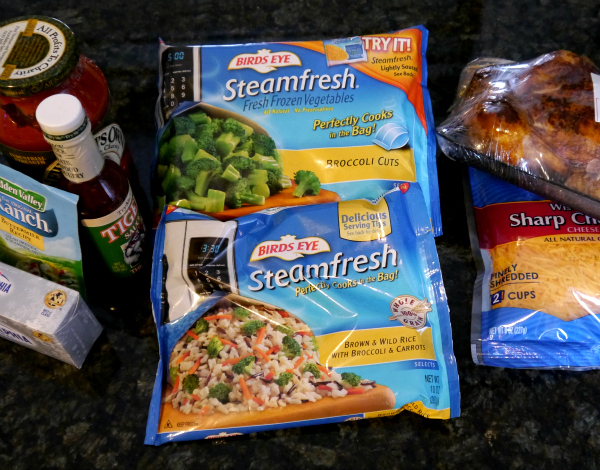 With Birds Eye Steamfresh veggies, my job as a mom has gotten even easier! Birds Eye has a whole page filled with “Kid-Inspired” recipes that use their delicious Steamfresh veggies. These recipes were created as part of the “iCarly iCook with Birds Eye” initiative where tons of kids crammed into a virtual kitchen to create these kid-approved meal ideas using Birds Eye Steamfresh products. 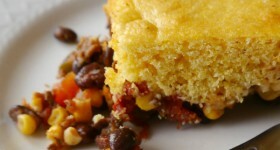 For full recipes and more options see the Birds Eye Kids Website! There are several other recipes that my kids would happily enjoy — like the Green Monster Pizzas and the Lasagna Cups. We chose something a little different, yet still very family friendly! When I asked for my daughter’s help in choosing a recipe to cook together, she chose one that combines some of her favorite foods – rice & cream cheese – with Steamfresh veggies — the Buffalo Chicken Veggie Bake. Unfortunately when we went to our local grocer, the variety of Birds Eye Steamfresh product available was limited. We decided to compromise and used Steamfresh Broccoli Florets and Steamfresh Brown & Wild Rice with Broccoli & Carrots. You can check out the original recipe here, then try our version below! Like the other kid-friendly recipes, ours was super easy to mix up. We chose to use a cold rotisserie chicken from the deli department to make this even easier. Kids can help out by measuring the ingredients and mixing them all together, while mom chops up the chicken. I have used Birds Eye Steamfresh before, each time I am always extremely happy with how quickly the veggies cook in the microwave. They taste super fresh and the broccoli even has a nice fresh crunch to it still! I was a tiny bit concerned that the Steamfresh rice would be gummy, but I was wrong — it is amazing and has the perfect texture with just the right al dente bite. 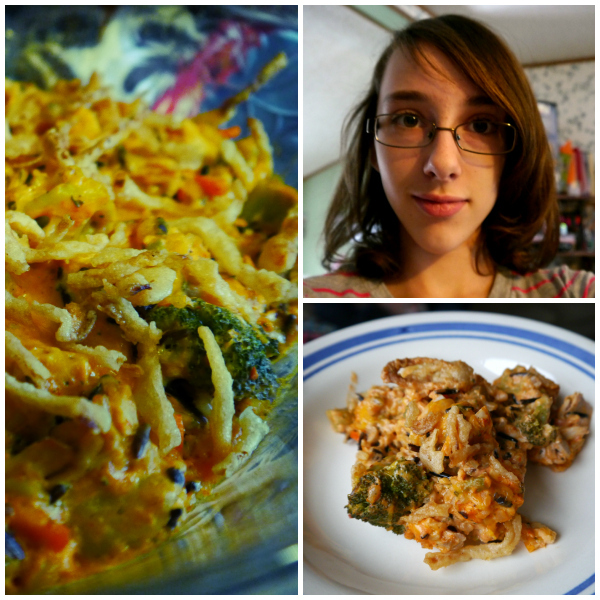 There was no picture of this recipe to guide us but I think our Buffalo Chicken Veggie Bake turned out just delicious! Eat your veggies in this delicious kid-friendly inspired dish which includes Steamfresh veggies, pre-cooked chicken and cream cheese! Preheat oven to 350 degrees. Sparay casserole with non-stick cooking spray. In large bowl, mix together cream cheese and marinara sauce until creamy. 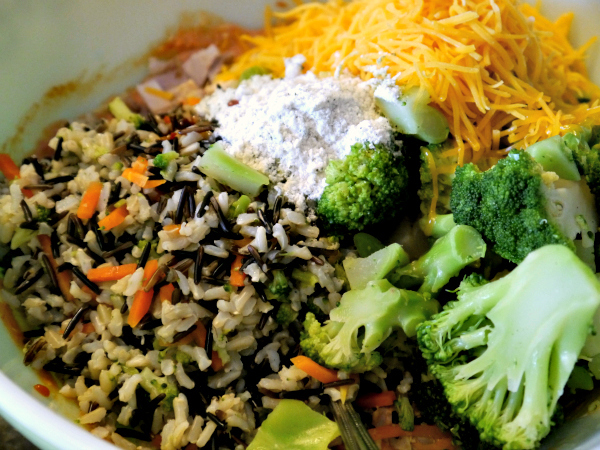 Add cooked broccoli, cooked rice, chicken, ¼ c of the cheese, ranch seasoning and hot sauce to taste. Pour mixture into prepared casserole. Cover with foil and bake for 30 minutes. Remove foil and sprinkle with remaining ¼ cup of cheese and french fried onion. Bake 5-8 minutes more, uncovered until top is golden and cheese is melted. Many varieites of Birds Eye Steamfresh products are available from your local grocer, use the store locator to find one hearby. To keep up to date with promotions and fun new recipes, check out the Birds Eye Facebook Page and Birds Eye Twitter Page. Birds Eye is the only frozen veggies we buy. This looks delish. Can’t wait to check out their kid-friendly recipes! They have some really cute ones on the site! I would LOVE that recipe, but I\’m the only one in the house the likes buffalo, so I\’d have to eat the whole thing myself! It\’s smart that they got iCarly to help out though! Kids like it when they see their favorite stars doing something, so hopefully that helps getting kids eating more veggies.